British organisations are facing a continued cyber threat landscape, new figures show. UK businesses are being attacked by cyber-criminals every two and a half minutes, on average, new figures have shown. This is according to a new report by Beaming, which says each individual business in the UK suffered 52,596 cyber-breach attempts in the second quarter of 2018. That means an attack every 2.5 minutes. However this attack rate actually fell compared to Q1 this year, when businesses saw 53,981 attacks each. On average, businesses received 1,655 attempts each to breach remote desktop systems between April and June this year, eight percent more than in the preceding quarter. Hackers mostly targeted IoT devices, remote controlled devices like building control systems and networked security cameras. Experts believe hackers can use these devices to stage powerful DDoS attacks, which is why they’re focusing most of their efforts that way. The report also says Q2 was the first ever fully recorded quarter where most of attacks originated in Europe, and not North America or Asia. 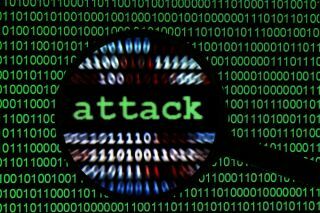 A total of 43 per cent of cyber-attacks came from European locations. Asia accounted for 34 per cent, and North America for 17 per cent.